Flight time 14 hours 25 mins from London. 17 hours from L.A.
What do we think of when we’re asked about the Philippines? We’ll give you a clue. A nation made up of more than 7,000 islands, where each one is caressed by calm, turquoise waters and blissfully white sandy shores, it’s a coastal paradise. But there’s more to this fascinating country than just glorious beaches, that’s if you know where to look. So let us take you to Palawan, a little known region where you can hang out with the charming locals at bustling markets, meet ancient rainforest tribes in the depth of the jungle, and experience its weird and wonderful wildlife. Touch down in the bustling capital of Manila where you’ll be transferred amidst the hustle and bustle to a beautiful urban oasis; the Peninsula Hotel. Steeped in colonial grandeur it’s the perfect place to explore the teeming metropolis and get a feel for the spirit of the Philippines. Once rested up and raring to go it’s time to escape the city and head to the region of Bohol to marvel at the one of the Philippines’ many spectacular natural landmarks. This morning you’ll explore the aptly named Chocolate Hills, an impressive range of 1,268 hills that resemble chocolates during the dry season. The hills which range from 30-50 metres tall are a sight to take your breath away, just make sure you don’t forget your camera. For lunch set sail down the Loboc River, and as you feast on local Filipino delicacies, watch the world float by and soak up the natural beauty of the surrounding forest and peaceful river. After your lazy lunch head to your island bolthole for the next two nights; the Amorita Resort. Nestled atop a seaside cliff at the northeastern end of the famed Alona beach in Panglao Island, at Amorita you’re greeted every day by the breath-taking 180-degree view of the Bohol Sea which extends out like a turquoise abyss. Pretty special if you ask us. Tomorrow, it’s time to get out and explore the magnificent landscape of Corella, Black Tomato style, on the back of the motorbike. Traverse the region as you awe at the stunning lush greenery moulded by Mother Nature into tumbling hills. Your guide will show you a few secret waterfalls where you can relax after a long ride. You’ll then take a hike up to the tarsier sanctuary where you can come face-to-face with these endangered, bug-eyed species in their natural habitats. After lunch, it’s time for more of nature’s wonders as you’ll take a tour of Panglao Island where at the right time of year you can spot whales and dolphins congregating off the coast. For a real buzz pull up a pew at Bohol bee farm where you’ll take your lunch, those with a sweet tooth will be in seventh heaven. After your stint in Bohol, you’ll be whisked off to the paradise of Palawan, in our eyes, it’s the undisputed gem in the Philippines’s crown. Picture mountainous islands clad in a thick carpet of verdant jungle, just calling out to be explored. 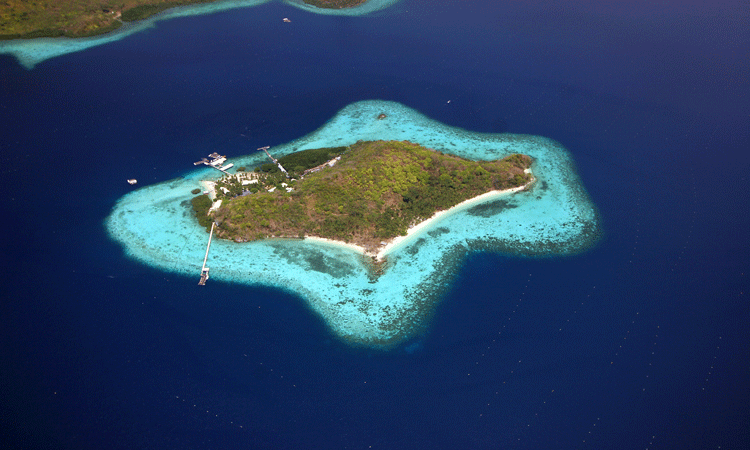 And encircling these island beauties you’ll find miles upon miles of candy coloured corals teeming with marine life that makes for some world-class diving and snorkelling. Your first night in Palawan will be spent in Puerto Princesa the heart and soul of Palawan where a bustling and vibrant town meets blissful nature. For your first night in Palawan you’ll hole up at the Hotel Centro, set in the midst of the forest it’s the perfect spot to acquaint yourself with nature. One of the most spectacular sights on the island has to be watching the Fireflies over the Iwahig river, as they illuminate the night sky. We firmly believe one of the best ways to get under the skin of a destination is by tasting the local cuisine, and the Philippines is one place that’s bursting with flavour. So listen up foodies, as you’re in for a treat for when the sun goes down you’ll head over to one of our personal favourites Ka Luis restaurant, where you can feast on delectable fish dishes and freshly made fruit shakes. Once rested up the following morning you’ll get to immerse yourself in the lively day to day culture of Puerto Princesa. Take in the town’s sights on a city tour, followed by lunch at one of the many street-side eateries that waft the scent of exotic spices out onto the pavement. If Manila is known for its motor traffic jams, then Puerto Princesa takes the biscuit when it comes to the more environmentally friendly tricycle jams. So do as the locals do and hop on board a three-wheeled trike and peddle on down to the market where you can pick up rare trinkets and sample local fare. From Puerto Princesa, your private transfer will whisk you to Sabang, where you’ll find your beachside utopia at Daluyon. Located on its own pristine beach you can spend the next two days flopping on the golden sands, and when things heat up a little simply saunter down to the water’s edge to for a paddle in the crystal clear ocean. After a good night’s rest in your own private thatched bungalow, you’ll be guided out into the surrounding national park to meet the Batak Tribe people. Known as the mountain people, they have resided in northern Palawan for centuries, settling in the mountains near the river and living off the lands natural resources. Your hosts for the afternoon will show you round their villages letting you in on tales of their ancestors and ancient way of life. After your fascinating insight into authentic Filipino culture head back to your beachside retreat for sundowners on the sand. Explore the region further by taking a hike to the Underground River; trek through dense forest and past secret beach coves. Keep your eyes (and camera) peeled for a wide variety of exotic flora and fauna, like macaques and Monitor Lizards. Of course, we always save the best bits till last. 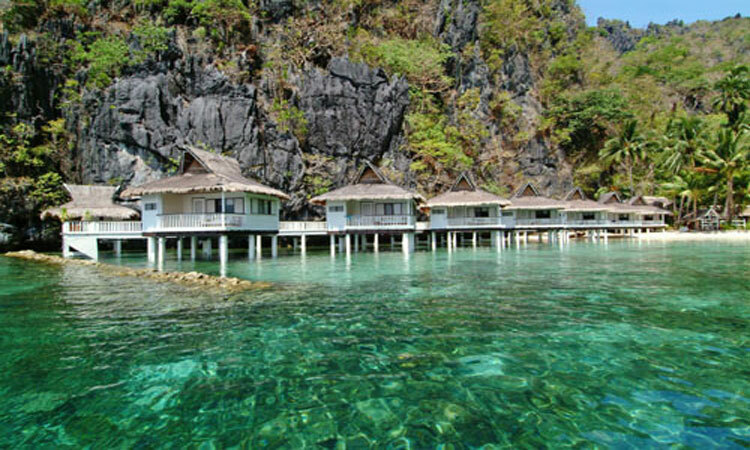 For the last leg of your journey head to Lagen Island in El Nido for a finale with a bang. Nothing prepares you for the beauty and peacefulness of this place, where your thatched hideaway is nestled between a lush four-hectare forest and a calm, shallow lagoon. Shrouded by looming limestone cliffs you can take to the jungle exploring the flora and fauna or simply relaxing on the beaches. A sublime end to your Philippines beach holiday.